Does Rimmel Stay Matte Powder Give You A Shining Complexion? Rimmel, most commonly known as Rimmel London, is a British cosmetic brand currently owned by Coty, Inc. Historically, in 1834 the House of Rimmel was founded as a perfumery in Regent Street, London by Eugene Rimmel. Inside a year of the company’s set off, Eugene Rimmel were able to create various make-up products including his distinguished and renowned mascara. Rimmel’s creative success with these products makes it possible for company to expand, and up until today Rimmel London is still considered as one of the world’s leading make-up producers. What is Rimmel stay matte powder? Rimmel Stay Matte Pressed Powder is an oil-absorbing, matifying powder that is essentially used after applying foundation and concealer, giving way to flawless and shine-free complexion. Rimmel is said to contain natural minerals that facilitate oil control for up to 5 hours and it also helps in minimizing appearance of large pores. Poor packaging with only a basic clear lid top that is fragile and might easily break. No secure locking mechanism. Contains critical ingredients such as parabens, talcum, silicone derivatives and fragrances which may cause some adverse reactions to sensitive individuals. Not ideal for individuals with dry skin because the powder tends to cling and gives more emphasis to dry patches. 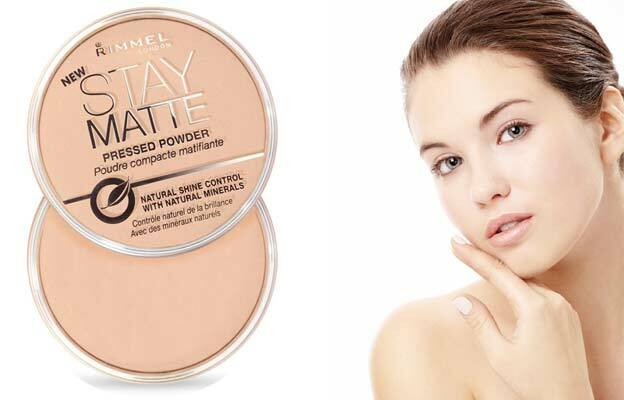 The texture of Rimmel Stay Matte powder is silky smooth and blends nicely to the skin without being chalky or powdery. To apply, you can use a sponge or powder puff to achieve a better mattifying effect especially for oily to very oily skin types. It is also recommended to add more layer on your T-zone areas then just apply a light brush to the rest of the face. To achieve a more flawless result, it is also advised to use Stay Matte in combination with a makeup base or primer and a good foundation. How long the Rimmel stay matte powder does lasts in a day? Rimmel Stay Matte Powder excels in longevity compared to other brands. This product can give a good 4-5 hours of matt and oil control. How much does Rimmel stay matte powder costs? The Rimmel Stay Matte Powder retails at USD 4.99. 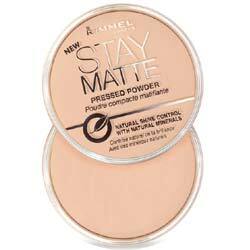 Rimmel Stay Matte powder works really well for individuals with oily to very oily skin when it comes to shine control. This product is likewise ideal to those who do not like touch-ups due of its lasting matte effect on the skin. However, the packaging of Rimmel Stay Matte Powder leaves a lot of room for improvement especially in securing the powder content since it has a very fragile cover top. But most importantly, consumers should be cautious in using this product considering that some of its ingredients may cause harmful and sensitivity reaction to certain individuals.